If you are concerned about what’s going on with the escalating cost of health care in this country, you should feel good about the work going on right here in Michigan. Four programs BCBSM sponsors with Michigan hospitals have saved a combined $232.8 million over three years, lowering complication rates for Michigan patients and literally saving lives. The Collaborative Quality Initiatives, as we call them, target health care quality, patient safety and improved outcomes. 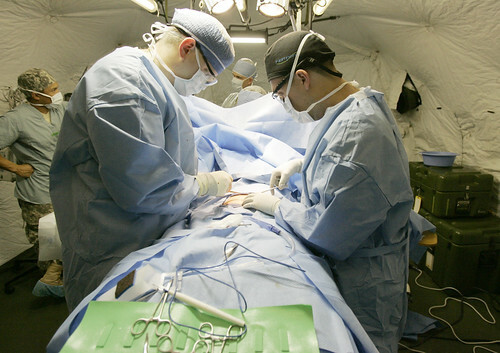 They cover some of the most commonly performed and costly areas of medical care: general surgery, cardiac and thoracic surgery, angioplasty, and bariatric surgery. The savings benefit more than just people who carry Blue Cross insurance. About two-thirds of the savings was spread across patients with Medicare, Medicaid or non-BCBSM private insurance and the uninsured. We started these initiatives in 1997 when we joined five hospitals to study variation in angioplasty procedures and treatment. The initiative resulted in drastically fewer emergency bypass surgeries and other complications and saved $15.2 million in an early analysis (this program saw the largest savings — $102 million — from 2008 through 2010). Today, we sponsor 12 CQIs, covering care provided to almost 200,000 patients across the state each year. More than 70 hospitals across the state participate in at least one of the programs. We’re looking to add more CQI programs next year. The programs are true collaborations among hospitals that often compete against one another for the services and procedures being analyzed. The Blues provide funding for hospitals to amass data and work together to analyze and compare it. Designated coordinating centers at the University of Michigan Health System or Beaumont Hospitals collect, audit and analyze the data and generate comparative performance reports. By comparing so much data for commonly performed procedures, we get an in-depth view of what’s working and what isn’t, and we can adjust practices to eliminate variation from health care that harms patients and drives up costs. Take our Michigan Bariatric Surgery Collaborative as an example. Formed in 2005, BCBSM, the U-M Health System and hospitals that perform bariatric surgery agreed to collaborate and develop a regional bariatric surgery registry and continuous quality improvement program. The group meets three times a year to examine data and design changes in care to improve patient outcomes. As a result, our data show that overall complication rates have dropped 24 percent, while visits to the emergency room following bariatric surgery fell by 31 percent. “I think there’s no question that when you’re really serious about safety, when you really try to figure out what to do, you can make big progress,” said Lucian Leape, a leading patient safety advocate and health policy professor with the Harvard School of Public Health. He spoke Monday at the Michigan Surgical Quality Collaborative Conference in Detroit, where he praised the work under way here. We’re proud of what we’ve accomplished so far, and we’re grateful to our hospital and physician partners for all of their hard work and dedication. But with health care costs ballooning ever higher, we know we have plenty of work ahead of us. Thomas L. Simmer is the Blues’ chief medical officer and senior vice president for health care value.